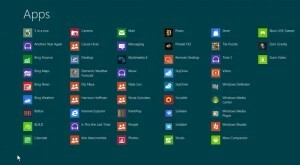 Windows 8 is officially launching on October 26, 2012. 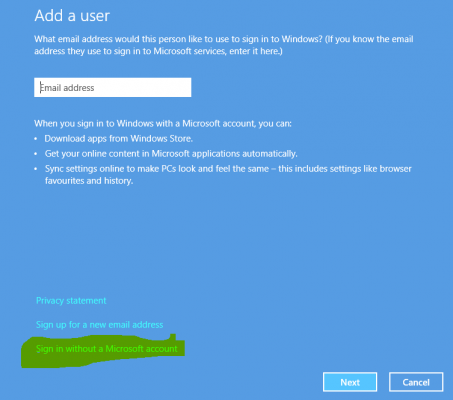 You might have already pre-ordered windows 8 or decided for upgrade license. If you’ve download windows 8 iso from Microsoft website, you might want to install windows 8 from usb drive instead of going through the trouble of burning iso file to dvd and then using it for installation. Furthermore, you might not have dvd drive installed in your laptop or netbook. In my case, I’ve replaced my dvd drive with hard disk drive for additional storage in my laptop. Moreover, USB drive is more reliable than DVD. So, whatever be the reason, there are ways to install windows 8 directly from usb instead of dvd. Hence, in this guide, we’ll show you how to install fresh windows 8 on your system via usb pen drive. Download Windows 7 usb/dvd download tool from here . The name of this software gives impression that it is built for windows 7, but in reality it works for creating bootable usb of windows 8 as well. Note: If you’re windows xp user, you’ll have to download additional files also – Microsoft .NET Framework v2 and Microsoft Image Mastering API v2. The download links for all these are given at the bottom on the same download page we provided earlier. Insert the usb pen drive in usb port of your computer. Backup all the contents of pen drive because in later steps, the usb drive will be formatted i.e. all its data will be erased. After downloading windows 7 usb/dvd download tool, launch it. 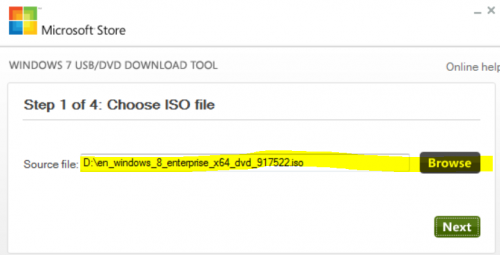 In the source file, browse to the location where you’ve downloaded windows 8 iso file. Hit Next. In this step, choose whether you want to create bootable disc or bootable usb for windows 8. Of course, you want to create usb so select it. 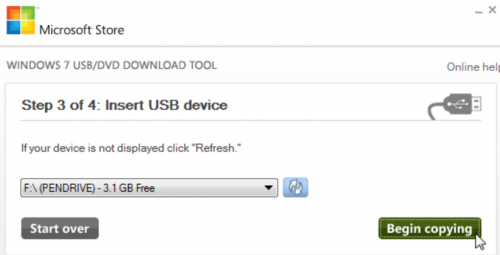 In this step, the program would automatically show the inserted pen drive with free space. Ensure the program has selected the correct pen drive. If the pendrive doesn’t show up there, click on refresh button. Once you’re ready. Hit on Begin Copying button. This will cause the pen drive to be formatted and windows 8 setup files will be copied to it. If everything completes successfully, it’ll display bootable usb device created successfully. Now, you can safely pull out usb drive and proceed with installation of windows 8. Restart your computer with windows 8 bootable usb drive plugged in. If it boots from usb, then the installation will start. If it doesn’t, restart your computer again and enter BIOS by pressing del or F2 key repeatedly during start. Once you enter BIOS settings, navigate to boot menu and change the boot priority so that removable drive comes first in the priority order. Now, exit saving changes. This time, your computer will successfully boot from usb and start windows 8 installation. If you still get any problem, don’t hesitate to put your comments here. We personally reply to every posted comment. hey thnks for guide..but if i upgrade win 7 to win 8 pro..is der any chances of missing data..?